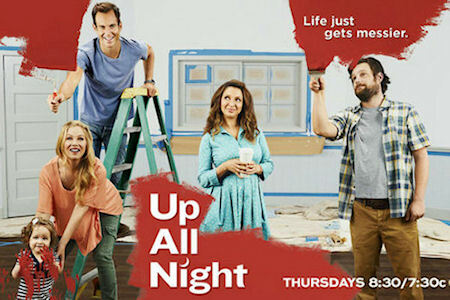 NBC has ordered three additional episodes of Up All Night, which will bring their season two total to 16 episodes. The series will go on a winter break after episode 11 airs in December. 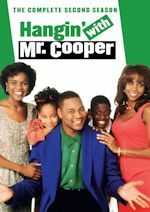 When the show comes back in the spring 2013, it will return as a multi-camera sitcom for the final five episodes of the season. The sophomore comedy, which stars Christina Applegate, Will Arnett, Maya Rudolph, and Luka Jones, has struggled in the ratings on Thursday nights. It has averaged around only three million viewers. NBC tried a switch like this before in 2003 with Watching Ellie. 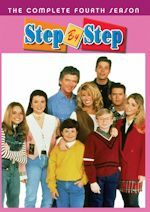 The series, which starred Julia Louis-Dreyfus, Lauren Bowles (Julia's real life half-sister) and Steve Carell, originally aired as a single-camera comedy from February-April 2002. When they returned almost a year later in April 2003, they switched to a multi-camera format. Unfortuntely, the format change didn't work for them as they had even lower ratings. 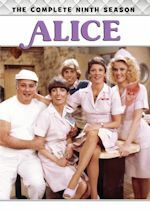 A couple of other sitcoms made the switch from single-camera to multi-camera with much better success. The Odd Couple's first season was shot single-camera with a laugh track added. The other four seasons were shot with three cameras and in front of a studio audience. Happy Days is the best-known series to switch formats. Their first two seasons were shot single-camera with the laugh track added. When they made the switch to the multi-camera format in season three, they became a huge hit. What do you think of NBC's decision? Discuss it on our Up All Night message board. 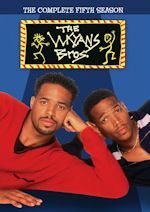 They have a couple of other multi-camera sitcoms in Guys with Kids and Whitney. They had much success with multi-camera sitcoms like Friends and Seinfeld in their glory days, so this seems like a good move. Paramount's Insurge Pictures and Yahoo! announced yesterday that Burning Love, the popular comedy series that spoofs reality dating shows, will return for two more hilarious seasons on Yahoo! Screen in 2013. The break-out video program premiered June 4 domestically on the Yahoo! Comedy Channel to critical acclaim. Burning Love is a web spoof of the series The Bachelor and The Bachelorette. The series follows fireman Mark Orlando (Ken Marino) in his search for the perfect woman to marry or at least be engaged. Many familiar actors from film and television have appeared in the scripted comedy series. Michael Ian Black appears as the host, Bill Tundle. Other characters are played by Ben Stiller, Christine Taylor, Adam Scott, Mo Gaffney, Mather Zickel, Kerri Kenney-Silver, Ryan Hansen and Paul Scheer. The contestants on the show include Kristen Bell, June Diane Raphael, Ken Jeong, Malin Akerman, Natasha Leggero, Abigail Spencer, Noureen DeWulf, Jennifer Aniston, Beth Dover and Janet Varney. The series is written by Erica Oyama (Children's Hospital) and directed by Ken Marino. Seasons two and three will feature returning cast members Ken Marino, June Diane Raphael and Natasha Leggero as well as new characters in their quest to find true love. Season Two, which is coming in January 2013, will follow Julie (June Diane Raphael), who failed to capture Mark Orlando's heart in Season One of Burning Love, as she searches for love in a group of guys who are hopefully all there for the right reasons. In Season Three, Burning Down the House reunites our favorite rejected guys and girls as they return to the Burning Love mansion to compete for a hefty prize and for each other's affection.